Sophisticated technology and proven tech savvy to help you increase the lifetime value of your customers. Using our approach, your brand can increase subscriber acquisition, engagement and conversion, driving customer loyalty and, ultimately, turning customers into influencers who help spread your brand message for you. Take your email marketing program to the next level. Whether you need to gear up for peak season, ramp up new staff or simply manage day-to-day email operations, our email experts can help. More than 2,200 clients use our flexible cloud-based platform to maximize email marketing performance and reach their greatest potential. Our dedicated account team collaborates with you to ensure rapid onboarding with in-depth assessment and recommendations for lifecycle messaging optimization. Ongoing education and guidance is always available as you grow and expand the reach of your email marketing program. We specialize in helping online businesses create highly targeted email programs that engage customers as their wants, needs, and motivations develop over time. We also enjoy a sterling reputation with ISPs and SPAM-fighting organizations. This translates into unparalleled email deliverability for our clients. We have worked hard to establish and uphold our reputation as the email service provider who provides “the knowledge behind the technology” to busy online organizations. Our unique combination of enterprise-scale email marketing solutions and award-winning services will ensure your email marketing program is a success. Registration forms, newsletters, banners, Facebook apps, surveys and more. We balance industry-based best practices, your brand guidelines and our knowledge of performance metrics to provide everything you’d expect from a top-tier creative agency: Email Design, HTML coding, copywriting and more. From responsive coding for a single template to full-service email marketing campaign execution, we will design a comprehensive service offering that meets your needs. We have access to a team of creative directors, graphic designers, copywriters, and usability experts who specialize in optimizing your content and functionality for better results. 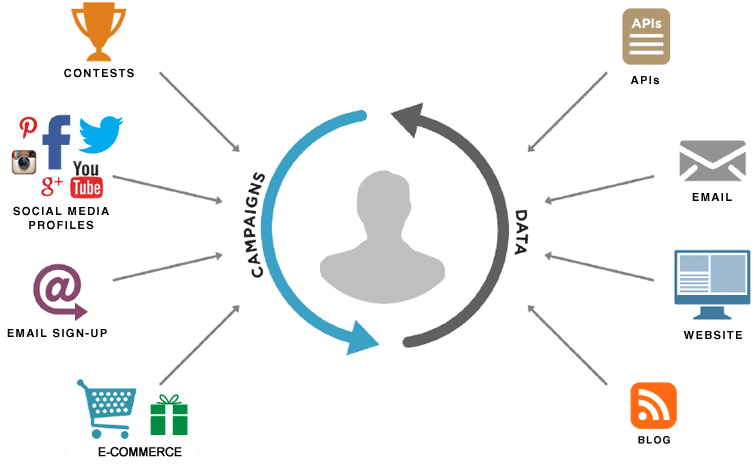 You can trust us to handle your campaign needs along each phase of the customer lifecycle, from creative strategy and social media marketing, to more effective sign up forms and transactional messages. Whether you’re an independent agency or consultant, a Paramount reseller partnership can provide you with new tools to grow your business. We are committed to making you an eMarketing guru in the eyes of your clients. You’ll have access to our account team, offering industry knowledge, training in the Paramount system, and sales strategies. We can even participate as an ad hoc member of your sales team, conferencing with clients to answer questions and share advice. We have reseller partnerships that work with every business model. To learn more about a partnership with Paramount, contact us today. Questions or Comments? We look forward to speaking with you! Paramount’s Emarketing Update will keep you well informed on the latest trends, tips and news related to Email Marketing, Facebook, Twitter, Mobile, Ecommerce, Instagram, Pinterest, SEO, and more. Sign-up to receive a bi-monthly recap of the top tweets, links and marketing tips from our social media accounts. People have asked me many times what is the key to my success at list building. Using Paramount as my delivery system has allowed me and my clients to send out over 130,000,000 paid emails during the election season (labor day - election day). Their customer service is without peer. They are a major part of my success. Paramount's Custom Design team has been very helpful for our electronic communications. Specifically, they did a great job designing a template in HTML for our e-mails. The template was outstanding! The team at Paramount is easy to work with, whether you are HTML savvy or computer illiterate. Their commitment to customer service is also outstanding - they are always accessible and responsive. My company has used Paramount for over 4 years. We have a great relationship and have utilized their email tools and their social media tools. I have not used a better email platform to date and have not had a better email partner. If you decide to use Paramount please realize that you are not only gaining access to great tools you are also embarking on a great partnership.